Anyone want to go to Jura? I know I do. Well here is your chance to show off your photography skills and potentially be on your way to whisky heaven. 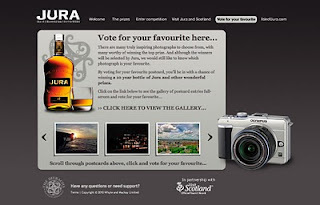 Jura is holding a "Wish You Were Here..." comp on the Jura Website to win a trip for 2 to Jura, drink Isle of Jura whisky, get an Olympus digital camera, and a photography master class with National Geographic's Jim Richardson. Competition ends January 21 and is open to all registered Diurach's. Don't worry if your not a Diurach yet you can be with a simple sign up before submitting the entry. As you will remember I have posted before about the Jura website (The Jura Cast) and we had our Jura tasting on 5 days ago (tasting notes and event recap coming soon) so I am sure the flavour is still sloshing around in your mind quite freshly. Thanks again to WhiskyCast Facebook for bringing this to my attention. Even though I am a honorary Diurach I cannot recall the email telling me about this event so I am grateful to WhiskyCast for posting this announcement. 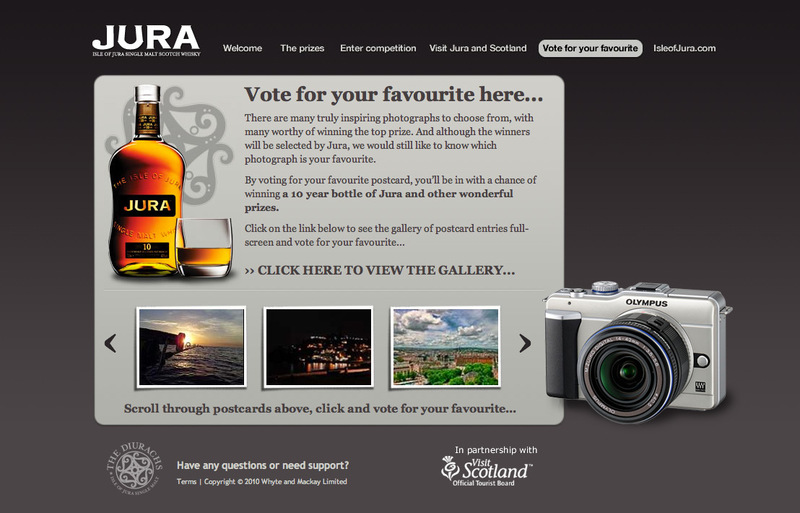 Get on board lads and submit a photo and or just vote and potentially win a bottle of Jura 10yo for the effort. I have submitted my photo already (it's the one with the fishing rod on Sydney Harbour).